Amyloid beta pathology in the grey matter and blood vessel walls characteristic of Alzheimer's disease (AD) and the related cerebral amyloid angiopathy (CAA) is observed in the brains of deceased patients who acquired Creutzfeldt-Jakob disease (CJD) following treatment with prion-contaminated human growth hormone. 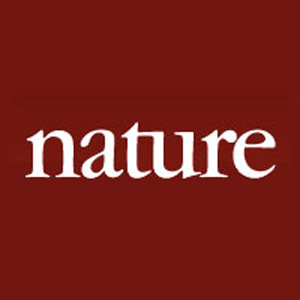 Although there is no evidence that human prion disease, AD or CAA is contagious (spread from person to person by direct contact), the study of eight patients, published in this week's Nature, suggests that amyloid beta (the peptides that form the main components of the amyloid plaques found in the brains of patients with AD) may potentially be transmissible via certain medical procedures. Human transmission of prion disease has occurred as a result of various medical procedures (iatrogenic transmission), with incubation periods that can exceed five decades. One such iatrogenic route of transmission was via the treatment in the UK of 1,848 persons of short stature with human growth hormone (HGH) extracted from cadaver-sourced pituitary glands, some of which were inadvertently prion-contaminated. The treatments began in 1958 and ceased in 1985 following reports of CJD among recipients. By the year 2000, 38 of the patients had developed CJD. As of 2012, 450 cases of iatrogenic CJD have been identified in countries worldwide after treatment with cadaver-derived HGH and, to a lesser extent, other medical procedures, including transplant and neurosurgery. Our current data have no bearing on dental surgery and certainly do not argue that dentistry poses a risk of Alzheimer's disease. John Collinge, Sebastian Brandner and colleagues at UCL conducted autopsy studies, including extensive brain tissue sampling, of eight UK patients aged 36-51 with iatrogenic CJD. The authors show that in addition to prion disease in all eight brains sampled, six exhibited some degree of amyloid beta pathology (four widespread) and four of these had some degree of CAA. Such pathology is rare in this age range and none of the patients were found to have mutations associated with early-onset AD. There were no signs of the tau protein pathology characteristic of AD, but the full neuropathology of AD could potentially have developed had the patients lived longer. The authors examined a cohort of 116 patients with other prion diseases and found no evidence of amyloid beta pathology in the brains of patients of similar age range or a decade older who did not receive HGH treatment. The study suggests that healthy individuals exposed to cadaver-derived HGH may be at risk of iatrogenic AD and CAA, as well as iatrogenic CJD, as they age. Further research is needed to better understand the mechanisms involved, but it seems likely that, as well as prions, the pituitary glands used to make the HGH contained the amyloid beta seeds that caused the amyloid beta pathology observed. The results should prompt investigation of whether other known iatrogenic routes of prion transmission, including surgical instrument use and blood transfusion, could also be relevant to the transmission of AD, CAA and other neurodegenerative diseases. Professor Collinge, Director of the MRC Prion Unit at the UCL Institute of Neurology, said: "Our findings relate to the specific circumstance of cadaver-derived human growth hormone injections, a treatment that was discontinued many years ago. It is possible our findings might be relevant to some other medical or surgical procedures, but evaluating what risk, if any, there might be requires much further research. Our current data have no bearing on dental surgery and certainly do not argue that dentistry poses a risk of Alzheimer's disease." Professor Mike Hanna, Director of the UCL Institute of Neurology, said: "This is potentially very important research from the UCL Institute of Neurology Prion research Group lead by John Collinge and Sebastian Brandner. It could inform our understanding of the molecular mechanisms leading to Alzheimer's disease and will enable new programmes of world leading research in Dementia at the Institute of Neurology, Queen Square."